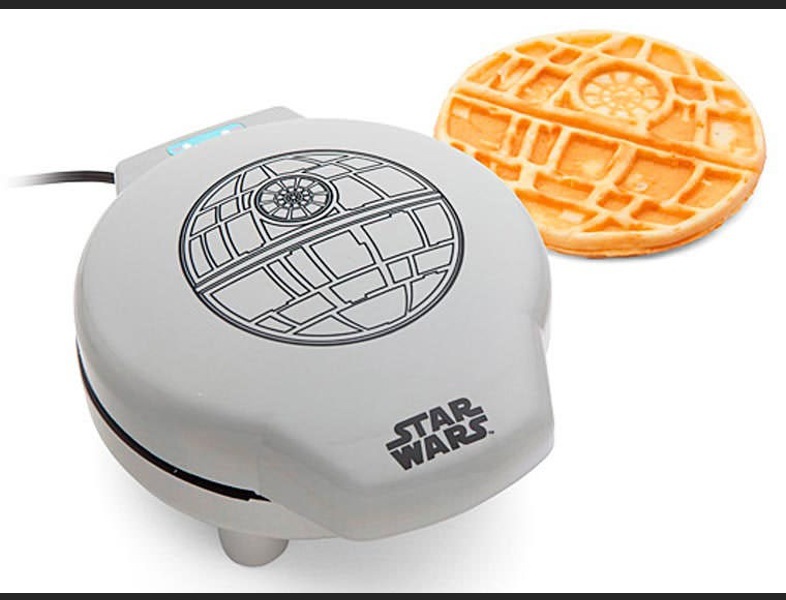 If your waffles aren't shaped like the Death Star, I hope you choke on them. When Star Wars first came out, it was like: "Here's this amazing movie. If you are a Star Wars fan, here is some merch you can buy." When The Phantom Menace was coming out, it was like: "Here's the next installment of this thing that is an amazing cultural institution. Star Wars fans -- you should totally see this movie. And here's some new merch you should buy." Now with The Force Awakens, it feels like: "As everyone knows, the next chapter in our shared mythology is soon to be handed down. Previously uncontacted tribes in the highlands of New Guinea have already purchased their tickets. We won't even waste our time suggesting that you see it, because obviously you (and every other human) will. "Star Wars fans -- since everyone on Earth is going to see this movie, you need to step up your game. 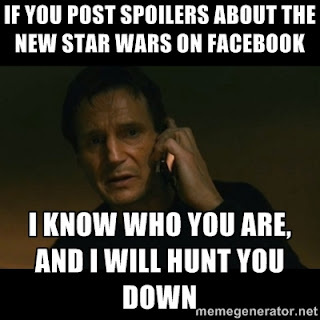 You don't want to be less Star Wars than those non die-hard Star Wars people, do you? Well guess what: the only way to prevent that is to fill every possible facet of your life with Star Wars merch. Seriously, if you're not making toast in the Darth Vader toaster, you're not a real Star Wars fan. If your kid isn't sleeping in the Millennium Falcon cockpit, you should put him up for adoption. Ladies, if you show up at the screening and your face isn't covered in Cover Girl Star Wars makeup, your man should probably murder you and dump your remains out of the nearest garbage shoot before jumping to hyperspace."